Drinking Time Machine, a chilling new phone app, gives users an insight into how they will look after ten years of binge drinking. The app has been designed by forensic artist Auriole Price as a warning of the devastating effects of alcohol on the body. By taking a photo and inputting your daily alcohol intake, the app shows how heavy drinking speeds up the ageing process. The unflattering pictures reveal the full effects of alcohol with the portraits showing bloated flushed cheeks and bloodshot eyes. Initially designed for a Scottish Government health drive, the app is now available on iTunes for $1. 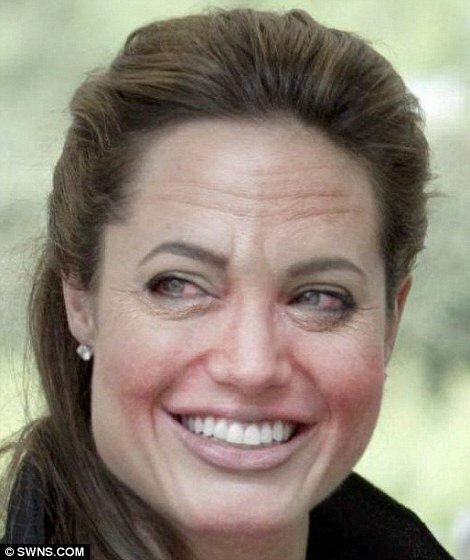 The app has been used on photographs of well-known celebrities – from Angelina Jolie and Madonna to Tulisa – with the resulting bloated faces, haggard complexions and deep lines etched on the face acting as a warning against over-indulgence.